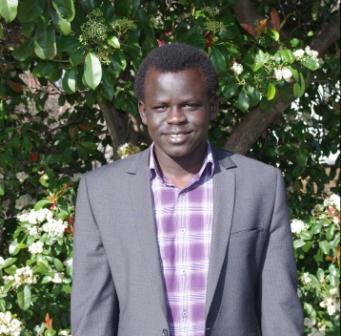 I am a Sudanese Australian medical student at the University of Melbourne and have been living in Melbourne since 2005 after resettling here from a Kenyan refugee camp where I lived for over a decade following war in homeland South Sudan. Am passionate about Medicine and Public Health, as I believe that preventative care is the most ethical and economical approach to healthcare for communities. This view could have been influenced by my life experiences where medical care was a luxury, but I find it applicable to Australia where some of major health challenges need community-level solutions. I am also passionate about youth empowerment and partake in peer mentoring, tutoring and youth leadership. Besides difficult transition I had towards realising ambition to study Medicine, amidst problems associated with resettlement, I know that good mentoring provided me with opportunities, and could well work for any youth. Before Medicine at Melbourne, I studied Biomedical Science at Monash University, and was namedKwong Lee Dow Young Scholar by University of Melbourne during VCE in 2007. Other scholarships include the Victorian Medical Indemnity Agency Ltd (VMIAL) scholarship, which provides for full residency at Ormond College while completing medical school. As the child of post-war immigrants, I grew up with two languages - German at home and English at school. As a German teacher and later involved in education policy development, I was always promoting the language learning to parents, teachers, principals and the community. When I was elected to Parliament, I thought I wouldn't use my German anymore but I was wrong. I could only connect with some people and groups in my community because I spoke German. They opened their doors to me and we could communicate in a common language; something no politician had done for them before.